Nichols on Nuclear « Bob Nichols Said WHAT About Your Radiation This Week !?! 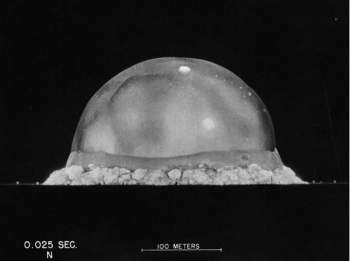 The 120 kiloton detonation takes only 600 nanoseconds. Here Dr. Scampa describes it in only 195 words…. THE RAD IN AMERICA – YRTW ELE No 15 and 16 – SHORTS! THE RAD IN AMERICA – YRTW ELE No 15 and 16 – Mapped ! THE RAD IN AMERICA – YRTW ELE 11 AND 12 – Mapped! YRTW SOL 5 and 6: Gamma Radiation Report – MAPPED! Gamma Radiation Report: YRTW SOL No 5 and 6 – mapped! “In a short time a dose of 1 Sv causes acute radiation sickness, and a dose of 10 Sv is fatal.”Short and to the point, the Sievert measurement informs all residents of eminent danger. Very democratic, that. (San Francisco) June 11, 2016 – Good Day, this is “Your Radiation This Week.” These are the Top Recorded Radiation Highs that affected people for the last week around the United States.